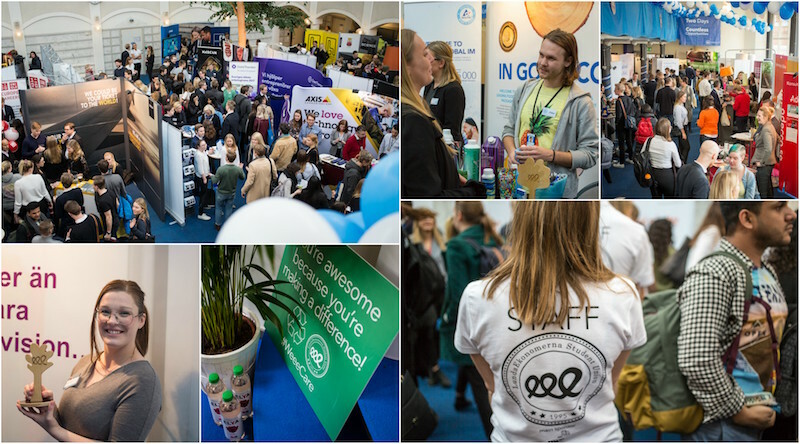 It’s career fair season at Lund University and this post is inspired by all the soon-to-be alumni we met at the LundaEkonomerna eee2018 career fair at the School of Economics and Management this week. Whether you are a recent graduate or in a senior work position, we at the Alumni and Career Office have gathered some useful advice for when you are about to update your CV for the next step in your career. 1. Every CV is different. Your CV and cover letter need to reflect your individuality, your background, skills and goals. Take the time to adjust your CV for each role that you are applying for. It is easy to send the same CV to many employers, but actually tweaking it to fit each specific position may land you an interview. 2. Correct language and style. Write your application in the same language as the ad. And while design elements, colours and graphics can set you apart, use them wisely. An application to a traditional company may require a traditional-looking CV. 3. Looking for work in Sweden? – Don´t use the Euro pass template! Look for templates that are 1-2 pages. Click here to find examples of CV’s useful for the Swedish labour market. 4. Use reverse chronological order: most recent comes first. E.g. start with your most recent jobs and studies and work your way backwards. 5. Use action verbs when you describe what you have done. If every bullet point in your CV starts with “responsible for” or “managed”, the reader will become bored quickly. Use a variety of action verbs. For example, if you managed employees, show what a great leader you were with words like aligned, enabled or facilitated. Click here for a list of hundreds of useful action verbs. 6. Make it easy for the employer to find what he or she is looking for. A recruiter reads a lot of CV’s, so make their work easier. Create a CV that is easy to skim through. Keep your CV formatting consistent, pick either your roles or your companies to bold and align your dates and locations to the right. Click here for more advice on how to write the perfect CV.